but first they need to find the Blink Drive, which means sending Five on a trip down memory lane. Ryo Ishido is now the emperor of Zairon and makes an enemy of his former allies. Five is having some issues of her own. She keeps blacking out and traveling into her own lost memories where she discovers that before joining the Raza, she had a friend and mentor. She was working in a repair shop for an older guy, which is where she learned all her mad skills. Two and Three blast their way onto the research station and begin hunting for the Blink Drive Four found out that Misaki killed Nyx and he’s NOT happy. 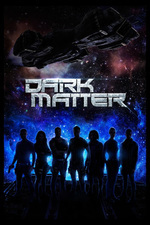 Started watching this episode too late and zzz'd off but in general this show continues to confound, it has such potentially juicy elements mixing convolutions of ethical dilemmas and redemption with the space opera evil corporate empires, but it is not always delivering. Seems like there may be casting issues (One) and it just doesn't seem like there is any thought out backstory. Really think the alternate universe blink drive plot muddies the story. I'm really enjoying Andrew Moodie's portrayal of Fonzie (okay, Teku Fonsei). I'd watch a show that was just him and Colin Salmon talking about whatever, and maybe occasionally trying to crack each other up. The writers do seem to be flailing a bit this season (again) but I enjoy enough of the performances that I haven't given up yet. Yeah, I've kind of not actively watched, and when i do end up making the effort... meh? The scenery is fine (and maybe a step up for SyFy) and I like many some of the actors, but there isn't much that is compelling. I was originally rather interested in the Emperor's arc, and I appreciate the ethnic diversity, but there was not really much cohesiveness about worldbuilding for that faction - aside from general hand wavey cliches. Well, one could say it's pretty exceptional for the *SyFY* channel, and my snark is, take a beat, crossover, SpaceSharks!